Children with the Austin Neighborhood Choir rehearsed Monday for their winter concert that will take place tonight at Austin Town Hall. 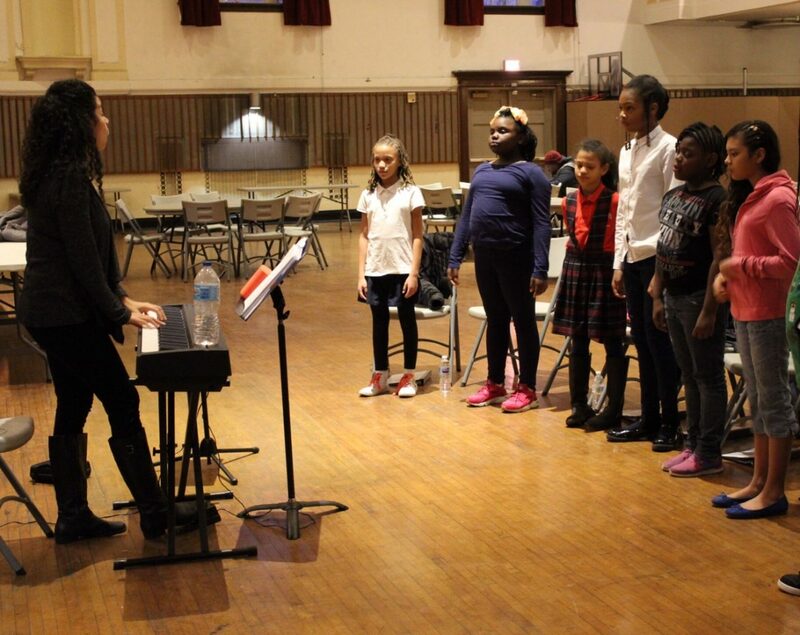 The Austin group is an offshoot of the Chicago Children’s Choir founded in Hyde Park in 1956 and now serves more than 4,600 youth across the city. Keshena Luckett, 27, has led the Austin choir since its launch in January 2016. It currently has 10 members ranging in age from 9 to 14 years and is looking to expand. The choir performs songs from a wide range of genres and musical traditions. Its winter concert includes well-known hits like Tio Cruz’s “Dynamite” and The Beatles’ “Let it Be,” as well as a South African anti-apartheid song performed in the Xhosa language. “We want to pick music that resonates with every kid and also through music we’re able to teach them about other people’s experiences,” Luckett said. Austin resident Jasmine Wilson, 11, said this was her first time singing in a choir. “I felt really welcomed because it was all open arms,” Jasmine said. Myumi Smith, 10, also an Austin resident, said she’s been inspired by the group’s diverse repertoire, and now she wants to be a famous singer and composer. 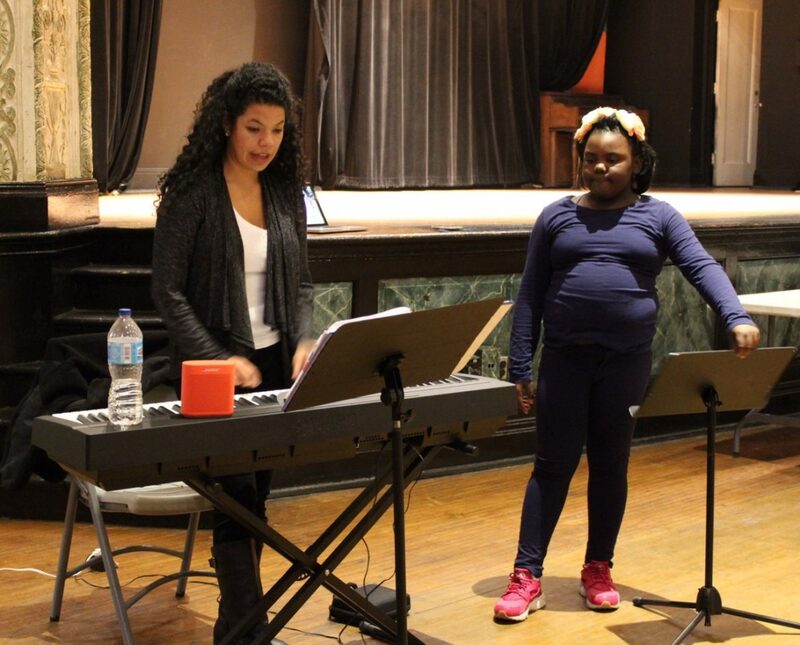 Luckett also leads in-school choirs in six neighborhood schools that meet once a week. Those students, along with members of the Voice of Chicago Choir, will also be performing Wednesday night. There will be a free community fair beginning at 6 p.m., one hour before the concert begins. “We want the the community to know we’re here, we’re not leaving, and we want to build partnerships in the neighborhood,” Luckett said. Children interested in joining the Austin Neighborhood Choir can audition with Luckett immediately following the concert and do not need to have any music prepared. The Austin Winter Concert will be held Wednesday, Nov. 29 at 7 p.m. at Austin Town Hall. Tickets are free, but an added donation of $5 per child and $10 per adult is suggested. A reception with refreshments will follow.